Watermelon has several health benefits, which many people are not aware of. Apart from the high water content, there are other vitamins you can draw from the fruit. 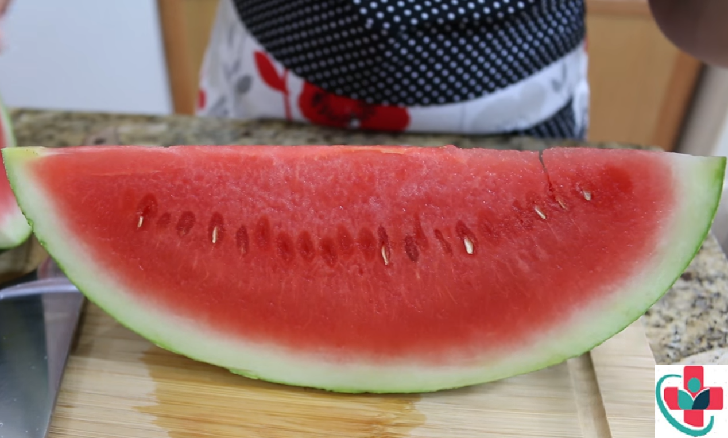 Watermelon is one of the most refreshing, thirst quenching fruit available year round. Watermelon is not only delicious but also very nutritious. Based on health benefits review, below are top 10 health advantages of eating a watermelon. Watermelons contain a lot of potassium, which is very helpful in cleaning or washing out the toxic depositions in the kidney. Moreover, it is helpful in reducing the concentration of uric acid in the blood, thereby reducing the chances of kidney damage and the formation of renal calculi in that organ. Added to this, being high in water content, it induces frequent urinating, which is again helpful for cleaning of the kidneys. Also, the antioxidants present in watermelon ensure good health of the kidneys for a long time and reduce signs of premature aging like wrinkles and age spots on the skin. Diabetic patients, who are supposed to have a low energy and low sugar diet, often complain about starving since they don’t get to eat their staple diets, which gives them the feeling of being half fed. Watermelons can be a good supplement for them. In spite of being sweet in taste, a thick wedge will give you very few calories, since ninety-nine percent of its total weight is composed of water and roughage. Moreover, the various vitamins and minerals such as potassium and magnesium help in proper functioning of insulin in the body, thus lowering the blood sugar level. Arginine, another component found in watermelons, is very effective at enhancing the impact of insulin on blood sugar. Most melons contain vitamins B which accounts for most of your body’s energy production. Vitamins B is required by your body to process sugars and carbs. Thus, consumption of melons can provide you with substantial energy. The high content of carotenoids in melon fruit can prevent cancer and lower the risk of lung cancer. Regular consumption of this fruit is effective in preventing and killing the cancer seeds that invade your body. So incorporate melons in your diet to prevent this deadly disease. Lypocene, a carotenoid found in abundance in watermelon, improves cardiac functions. Beta-carotene, known for its remarkable antioxidant and anti-aging properties, also keeps you young at heart and prevents age-related cardiac problems. The roughage in watermelon and its very low energy, along with help from vitamin-C, carotenoids and potassium (potassium cuts the risk of a heart attack), helps to reduce cholesterol and keep your heart safe from a variety of dangerous conditions. If you have digestive problems, you can try eating melons to facilitate smooth and easy bowel movement. The high content of water in melons is great for digestion as it helps launch defecation while the mineral content eliminates acidity that often causes difficulty in digestion, particularly in the stomach organ. Like most other fruits, melons are ideal for weight loss. These fruits are low in sodium and calories as well as fat and cholesterol free. The high water content can keep you full for longer while the natural sweetness curbs your cravings for sugary foods and high-calorie sweets. Watermelon, in particular, is great for weight loss with a whole cup providing just 48 calories. Vitamin A along with lycopene helps produce the pigments in the eye’s retina and provides protection against macular degeneration, night blindness, and other age-related eye problems. Plus, watermelon has vitamin C, lutein and zeaxanthin that are essential to keep your eyes healthy and free from different types of infections. Eating one cup of watermelon daily is recommended for your overall vision health. One of the amazing benefits of melon is that it contains collagen which maintains the integrity of the cell structure in all connective tissues including skin. It also speeds up wound healing and maintains skin firmness. Regular consumption of melon is beneficial for those who have rough and dry skin.